After a motorcycle accident, dealing with insurance companies is an unavoidable inevitability for crash victims. No one expects insurance negotiations to be a walk in the park or without a certain amount of tedium. However, what they're often not prepared for is just how difficult it can be to secure a fair financial settlement that sufficiently covers their losses. In some cases, it may even seem like insurance adjusters are actively working against motorcycle accident victims, rather than trying to help them. Unfortunately, that's not unjustified paranoia on the part of the victim—it's often standard operating procedure for insurance carriers protecting the bottom line. If you're seriously injured in a motorcycle accident caused by another person or entity's negligence, here's what you need to know about dealing with insurance companies. 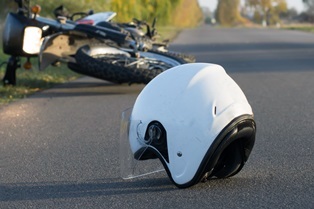 Adjusters representing the potential at-fault drivers or other entities are often eager to get in touch with crash victims, so bikers should expect this contact sooner rather than later. In some cases, carries even dispatch an adjuster to the scene of the accident to discuss “options” with the victim. However, these options are rarely in the best interest of injured motorcyclists, which is why it's so important for victims to handle early contacts with an insurance company with care. In the moments, days, and weeks following a motorcycle accident, adjusters may offer victims an on-the-spot settlement, discourage them from consulting an attorney about their legal rights and options, or ask them to provide a recorded statement about the crash. These are all terrible ideas that likely benefit the insurance company more than the victim. Accepting a settlement before a victim's injuries and losses are fully understood is particularly dangerous. Once an agreement is made, it can't be modified—even if the victim's injuries change or worsen. The best way for motorcycle accident victims to handle early contacts from an adjuster is to direct them to their attorney. A motorcycle accident victim files a personal injury claim with the insurance company. The insurance company sends the victim a “reservation of rights” letter, informing him or her that they'll be conducting a claim investigation. The victim sends a demand letter to the insurance company, outlining what happened in the crash and itemizing their economic and non-economic losses. The insurance claims adjuster responds to the demand letter, usually by trying to convince the victim that the claim is worth much less, and may even offer a low ball settlement at this point. Negotiations continue until the victim accepts or rejects the final settlement offer. Accident victims often assume insurance carriers are on their side. Nothing could be further from the truth. An insurance company has to maintain its bottom line, and will employ many tactics in an attempt to reduce its financial obligation. Examples include bombarding victims with wide-ranging requests for information, misconstruing a victim's version of events, casting doubt on the severity of their injuries, or claiming the injuries had an unrelated cause. All of this adds to the compounded stress an individual feels while he or she tries to recover from a traumatic event. Fortunately, an attorney can help by stepping in and serving as the point of contact for all future inquiries. Do You Have Questions About a Georgia Motorcycle Crash Case? If you were hurt in a Georgia motorcycle accident, the skilled attorneys with Van Sant Law can help you navigate the settlement negotiation process and fight to ensure you receive the compensation you deserve. Contact us today to schedule an appointment for a free initial consultation to discuss the details of your case with a member of our legal team.